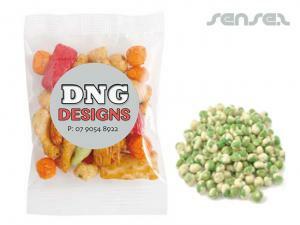 Nothing suitable in promotional nuts & crackers? 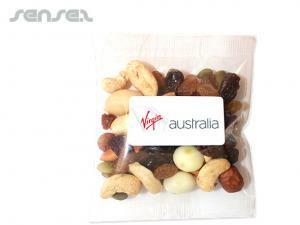 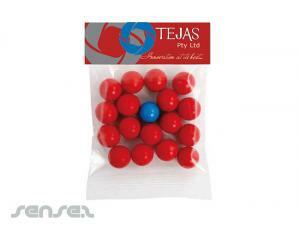 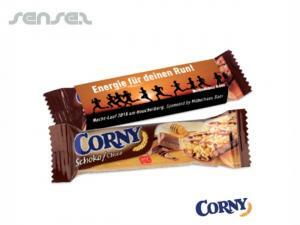 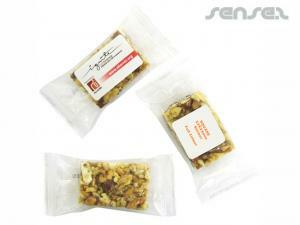 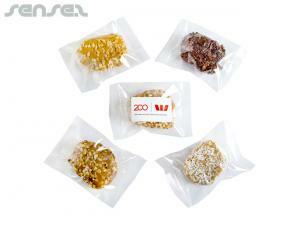 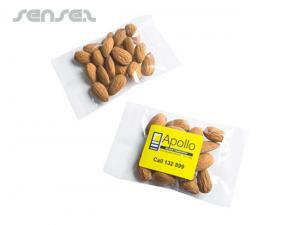 How about custom branded energy bars, logo printed corporate vitamins or one of our promotional fortune cookies? 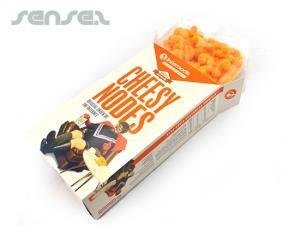 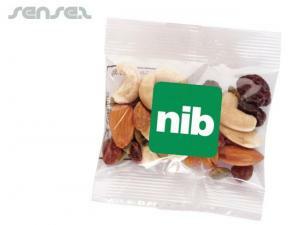 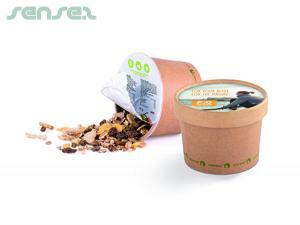 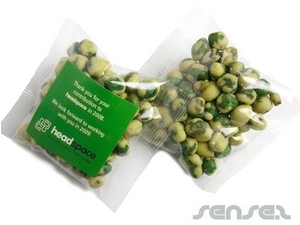 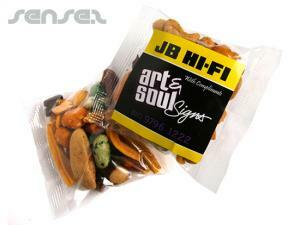 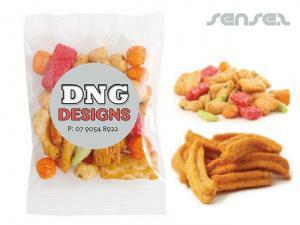 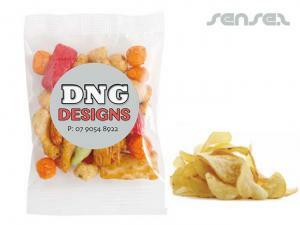 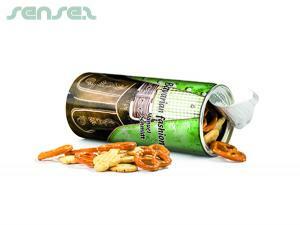 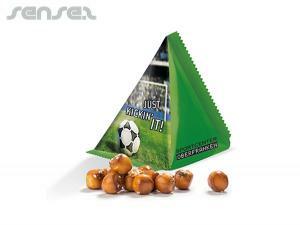 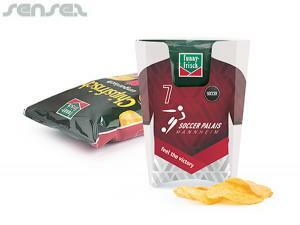 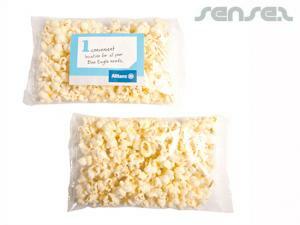 Promotional Nuts and rice crackers or wasabi peas make great office promo tools with a savoury twist. 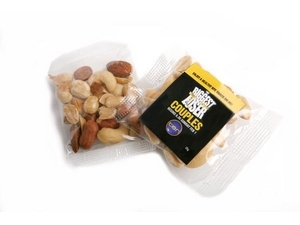 Beat the hunger with a bag of rice crackers, nuts or pepitas and boost your staff energy in the office and your customer's focus during your presentation. 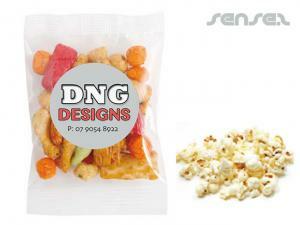 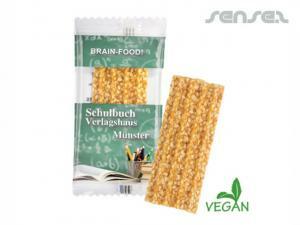 Rice crackers are cost effective promo give aways that have a great side effect. 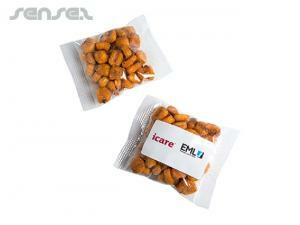 Rice crackers and nuts are great also for university promotions or office staff give aways to boost your unique promotional campaign.